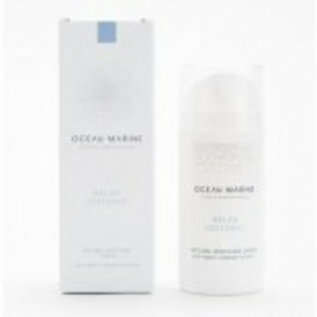 Oceau Marine Relax Isotonic, the best ally of your skin or mucous membranes in case of dry, irritated or damaged skin. This cream will be the best ally of your skin or mucous membranes in case of dry, irritated or damaged skin. This nourishing cream was formulated without preservatives; the plant extracts ensure that Relax Isotonic can also be used for the most sensitive skins. Oceau Marine Relax Isotonic protects and promotes the regulating homeostatic effect thanks to the isotonicity of seawater, to be used on the most sensitive skin or mucous membranes of babies, children, teenagers, adults and pregnant women. The use of this natural cream is even suitable for domestic and favorite animals and in veterinary practice. Oceau Marine Relax Isotonic is a natural care product. The largest organ of our body is the skin, the surface is about 150 m2 and contains about 70% salted water of which only 10% on the level of the epidermis. Due to this low content, the epidermis behaves like a sponge when it comes into contact with the soap seal. The human skin is composed of three layers: the epidermis, the skin and the subcutaneous skin. There is an electric field (a galvanic current) that goes from the surface to the depth. The electrically charged minerals in the seawater are sensitive to this current, are absorbed by the epidermis and transported to the subcutaneous skin. There they come in contact with the small blood vessels to be used in the different tissues. All this is done in complete osmosis. In case of discomfort caused by acne, burns, scars, eczema fungi, sunstroke, bedsores, fever blisters, insect bites, psoriasis, birth or age spots, pregnancy straps. As a moisturizer for optimal skin flora and regenerates the mucous membranes. Relieves itching and pain. Strengthens the scalp, clears the nose, soothes sore throat, cleanses the eye fluid, helps with tired eyes, activates excretory functions and supports digestion, in case of headaches, promotes intestinal transit and soothes pain in menstrual cramps, helps with breathing difficulties, improves the condition of sensitive Gums, bleeding, easing pain in dental abscess, is a welcome aid in hemorrhoids, helps in calf cramps, brings relief to heavy legs, soothes the irritation feeling of bladder inflammation, also in zona, cell renewal in case of varicose veins and cellulitis. For a good sleep, when tired, calmness in legs and feet calms down, promotes general well-being, stimulates excitement. Apply the cream to the body part to be treated. Apply the cream in small amount to the body parts to be treated, then spread out in softness until the cream has completely penetrated. 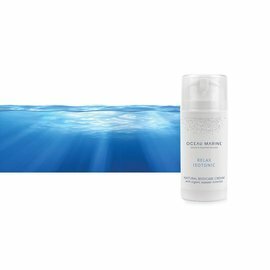 The skin behaves like a sponge, she completely absorbs the absorbable minerals from the isotonic seawater. The quality of the internal body fluid determines the number of applications. It is recommended to apply the creams to dry skin free of other products. 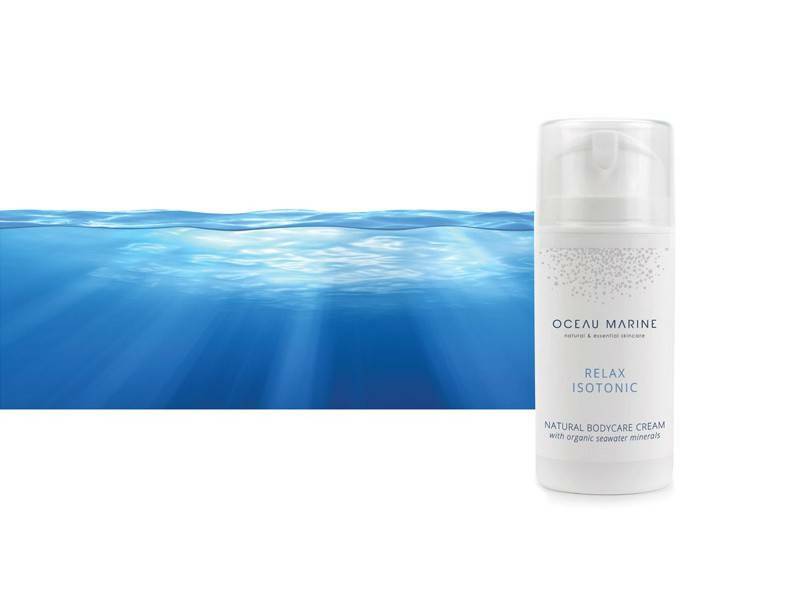 OCEAU MARINE RELAX ISOTONIC at NATURAL BIO STORE!